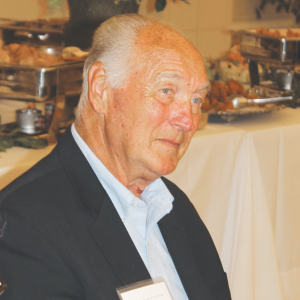 BATON ROUGE — LSU All-American and Heisman Trophy winner Billy Cannon led a group of 35 Louisiana Sports Legends honored at a banquet at the Lod Cook Center at LSU last month. The event was sponsored by BIC magazine, which has published Louisiana Sports Legends and Heroes. • Central High football coach Sid Edwards who was the only high school coach selected and who served as a representative of all past and present prep coaches. Voice of the Tigers Dan Borne served as Master of Ceremonies, and BIC publisher Earl Heard, who put the event together, presented the awards. It was a unique gathering of some of the greatest athletes in Louisiana history. Even many in the audience were renowned, such as former LSU All-American Clyde Lindsey. Olympic weight-lifting coach Gayle Hatch talked about his Indian heritage, and someone joked that Hatch, who still strikes an imposing figure, may be the world’s tallest Native American. Three of the “legends” spoke — Skip Bertman, Eddie Kennison, and Darryl Hamilton. All three told humorous stories, and some teased other inductees or members of the audience. Kennison took on Cannon. Billy Cannon was the SEC champion in both the 100-yard dash and the shot put. In the 100, he ran a 9.4, just shy of the world record, which was then 9.3. But Kennison too was a great track man, having been a six-time All-American in track. During this speech, Kennison said he wanted to challenge Cannon to a 100-yard-dash. Cannon, who is now 75, said nothing. After adjournment, all the celebrities stayed around to sign autographs. The biggest crowds gathered around Cannon, perhaps the greatest football player in Louisiana history. The two All-Americans shared a laugh at the thought of their racing. Cannon still looks fearsome. Although he may not be able to run a 100 under 10 flat, you may not want to challenge him in the boxing ring. Many other Legends were not able to come, such as Drew Bres, Glen Davis, Les Miles, Paul Dietzel, and Shaquille O’Neal. The late Pete Maravich was also honored.